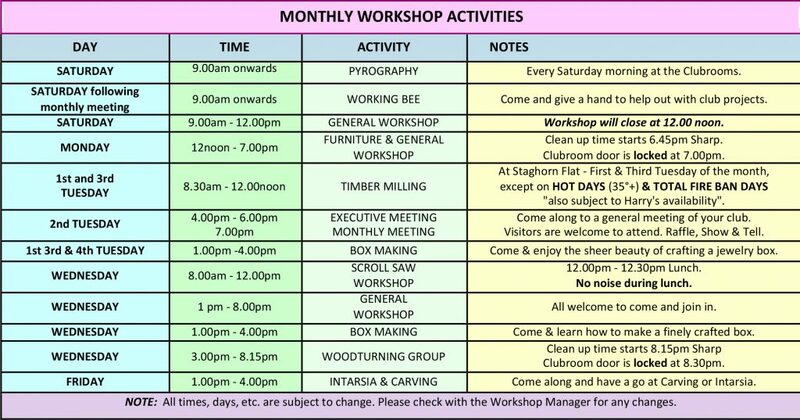 Albury-Wodonga Woodcrafters Inc. is a local wood crafting club with approximately 140 members and has been operating since September 1986. The club became incorporated on the 6th November 1987. The Cottage Gallery is open from 10.00 am to 4.00 pm Tuesday to Sunday – Closed on Mondays except for Public Holidays and closed on Good Friday, Christmas Day and Anzac Day morning. The Cottage Gallery has a large and varied display of locally crafted items for sale. Recycled and salvaged timbers are extensively used. Red Gum and Burl timber pieces are a specialty.